A few years ago, I had the idea that it would be fun to start celebrating the birthdays of our ancestors, but I kind of put it off. I already have five kids, nine and under, to plan birthday parties for, and I’m not naturally a party person. I don’t throw big elaborate birthday parties for my kids; why would I add any extra parties? But I decided it would be a fun project to create a perpetual birthday calendar for my ancestors, like people do for their living family members—those calendars where you write down who has a birthday each month. I figured there had to be almost a birthday every day. I just started going through familysearch.org (a free website where you can view and build your family tree and share photos and memories about ancestors) and went one generation at a time, writing down birthdays of my ancestors. I’d just do it little by little, whenever I had a few spare minutes. Then, for Christmas in 2017, my mom took this calendar idea one step further and spent an incredible amount of time making my siblings and I a rolling birthday desk calendar. 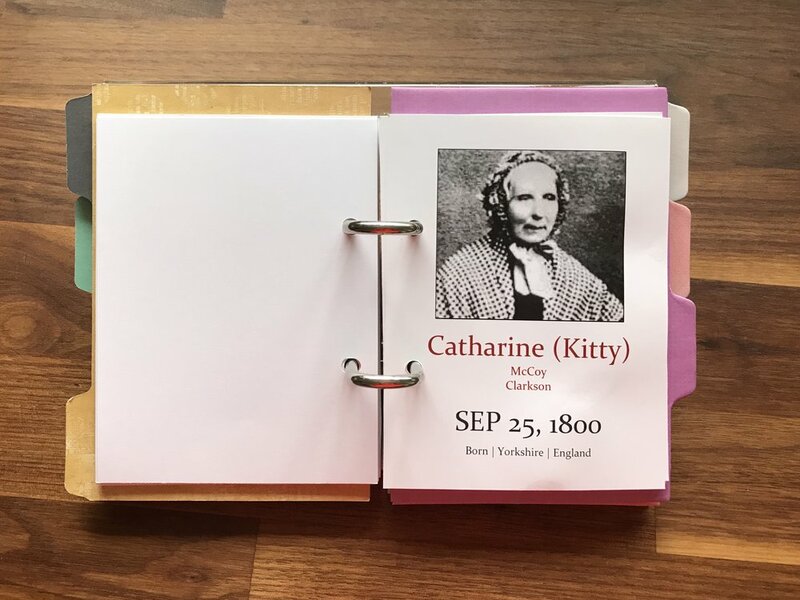 Each page has a picture of an ancestor, their name, their birthday, and the place they were born, and they’re in order, so you can flip it to display the ancestor whose birthday is coming up next. I keep it on a shelf in our family room, and my kids love flipping through it and noticing when it’s someone’s birthday. I decided that the calendar was a good excuse to start celebrating our ancestors’ birthdays. I started out planning to do a birthday party every month, but it’s turned out to be more like once a quarter that we do it. I’d love to do it more often, but really, I’m just happy that we’re doing it at all. We keep it really simple. I have a letterboard, so I have the kids help me write the first names of the ancestors we’re celebrating that month on the letterboard. Then we have cupcakes, or a little cake, or cookies, or whatever treats we happen to have on hand. We sing happy birthday (including all of their names), I show them the pictures of the ancestors we’re celebrating that month, and then I tell any short stories I know about them or, if I knew them, share some of my memories. The stories they love the most are the ones about ancestors they knew, like their great grandparents who have passed away. My kids love it. Usually they’re the ones who remind me, “Mom, it’s time to celebrate our ancestors again!” They love flipping through the calendar to see whose birthday is coming up. Kids love any reason to celebrate, and I need a little nudge, since I’m not naturally good at that. These birthday celebrations are a fun little way to teach my kids that there are lots and lots of people who have brought us to where we are. I also try to just tell them stories whenever I think of them, or when we’re driving around town and pass the houses where my ancestors have lived or other sites that have meaning to our family. On Memorial Day, or even other random times, we visit graves of our ancestors and I tell their stories. My kids know I love my ancestors, and I’m hoping that it will trickle down to them as well, and that they’ll remember that they come from a long line of strong people, who struggled and went through really hard things. 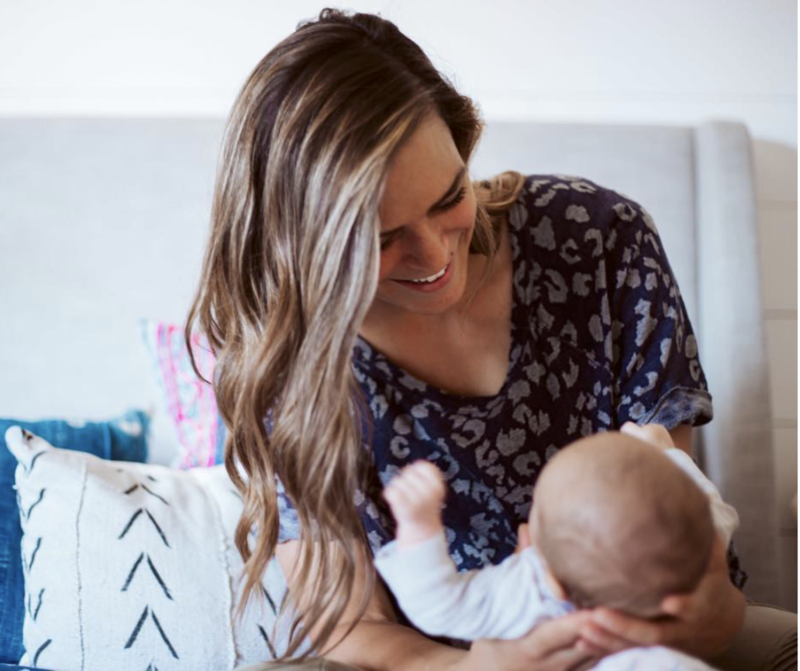 Jessie McKinley is a mother of five adorable, crazy children. She loves Broadway shows and music (current favorites: Dear Evan Hansen & Hamilton), has an addiction to pebbled ice, and loves nothing better than being out in the sunshine with a giant slice of juicy watermelon. She hosts a fabulous podcast, Miss Genealogy, and a website with the same name, missgenealogy.com, where you can sign up for courses and other fun family history products.